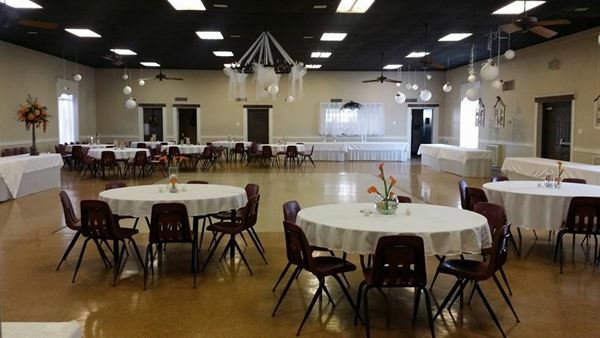 Casual space perfect for birthday parties, family reunions, company picnics, children's birthday parties. plenty space for large functions. ping pong, video games, playground. The package includes: • Large 3,500 square foot facility holds up to 350 people. • Suitable for Weddings, Showers, Meetings, Rehearsal Suppers, Private Parties, Birthdays, anniversaries, etc. • Self catering allowed. • Tables and Chairs included. • It requires $200 deposit and $150 cleaning fee Please visit our website for more details. Good value. Nice kitchen space but lots of rules that hinder the decorating process.